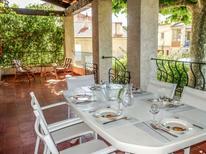 Holiday home in the traditional style of the Côte d’Azur on a spacious, high-quality holiday complex. French Riviera | Here we'll show you the accommodation at the French Riviera, which has received the best reviews from our customers. 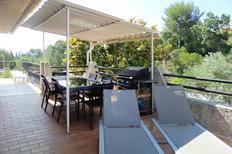 This golf course on the Côte d'Azur is just 50 metres from a holiday villa for up 8 people. France | Golfers really get their money’s worth on holiday here, as these holiday homes and apartments are either located directly at the golf course or in the immediate vicinity of it. Marco Polo recommends atraveo: French Riviera 2016, page 126. There are bright blue skies and the sun. The Côte d’Azur provides 300 sunny days in the year and one should enjoy this on one of the many lively beaches in elegant bathing towns or on a golfing course. Throughout the year the Côte d’Azur offers summery flair and ideal holiday conditions. There are around 300 sunny days here and even during the winter temperatures can go up to 20 degrees in the sunshine. Beyond this the south coast lures with famous bathing resorts and exclusive cultural life in some of the nicest and most exciting towns such as Nice, Cannes, Saint-Tropez or the revered principality Monaco. But one should also not regret the interior with the mountainous Maritime Alps and the close proximity to the Provence is equally enticing. atraveo offers you a great choice along the Côte d’Azur with more than 1,300 holiday houses and 2,700 holiday apartments. Surely you will be able to find a suitable accommodation? 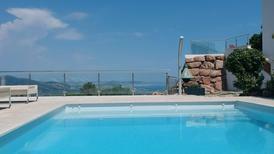 The privacy that can be offered by a holiday house in the frequently visited Côte d’Azur should not be underestimated. atraveo has over 400 holiday houses which have an enclosed property with an own pool. You can choose between holiday villas in the countryside, a town house in one of the famous cities or a classic holiday house in a typical tranquil French village. 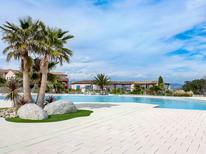 Beyond this you can find holiday apartments with atraveo in many smaller bathing resorts along the Mediterranean Coast, as for example in Bandol or Saint-Cyr-sur-Mer. Here you are also able to find boulevards lines with palm trees as well as sandy beaches and diving opportunities. 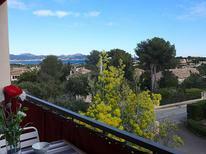 The town Port Grimaud is also very charming. The lagoon town was built with Venice being its role model. Here it is possible to rent a holiday house with own mooring. Maybe you will opt for a holiday apartment in an apartment complex where you can use the sport facilities and large communal swimming pool. At one of the most beautiful coastal strips of the Côte d’Azur one will find Antibes with the neighbouring seaside resort Juan-les-Pins. The enthralls with a number of typical provincial rituals and lovely narrow alleys. From the historical fortress Fort Carré one can enjoy a splendid view across the town and harbour. 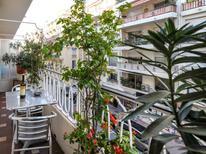 Furthermore you can visit a former studio Picasso used in Antibes. Picasso painted for seven months in the impressive Grimaldi Palace and as a form of his appreciation he bequeathed the town 23 paintings with the stipulation they remained in the studio. Here you can delve into the works of Picasso and walk in his footsteps. In Juan-les-Pins every July the renowned open air jazz festival Jazz à Juan takes place. In the marine aquarium Marineland d'Antibes you are able to see mammals such as orcas, dolphins and seals up close and even directly encounter them at flooded strip of beach. The port city Nice is not only known as a holiday paradise but also as an art metropolis. Not only can you enjoy the creations of Edgar Degas and Monet from the 17th century but also enjoy the contemporary art of artists from the 20th century. On the Cimiez Hill you can find the Matisse Museum with a private collection of the artist who spent much time in this city. 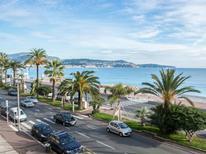 Cannes is one of the most famous cities along the Côte d’Azur. The glamorous coastal resort does not only entice as a bathing resort but also plays host to the annual Cannes Film Festival each May where you will come across an array of famous people. One can only visit the festival on invitation but in the tourist centre you can ask for an invitation to the Cinéma de la Plage where a selection of festival films is shown. The two kilometre long Boulevard de la Croisette invites you to take a stroll, You will not only pass many exclusive boutiques and restaurants but also the Palais des Festivals et des Congrès where the film festival takes place. From the boulevard one can also directly reach Plage de la Croisette which is a lovely beach or alternatively there are also a number of small parks. For some the cemetery of Cannes Cimetière du Grand Jas might be an attractive proposition as its a lovely park complex and holds several graves of revered people. Also the beautiful island Sainte-Marguerite that can be reached with a ferry from Cannes within an hour is worth a visit. Here the prison of the “Man with the iron mask” whose star guest was King Louis XIV. Further worth seeing towns along the Côte d’Azur which at least have the same glamorous charme are particularly Nice and Saint-Tropez. Also one should not miss out on a trip to the principality Monaco with its casino and famous Formula 1 race course that winds through the city. Beyond this both the interior with its mountains and the rest of the coast as beautiful offering a range of highlights such as the perfume town Grasse.